Investors have long been fascinated with making student property investment in the United Kingdom. The opportunity exists due to the rising numbers of students moving to the UK to study at some of our leading universities. Property investors are able to purchase purpose built student income and earn an income from fee paying students. These opportunities work very well when they are focussed on towns and cities with high numbers of students along with a shortage of student housing. There are hundreds of student housing developments throughout the UK and they have for a very long time attracted investors from all corners of the world, interested in buying UK property with a title deed and in a market which has significant potential. Students are typically funding their property rentals using monies sent from their parents, often the parents will have budgeted for such situation many years in advance, therefore providing a secure source of income for the investor. It shouldn’t come as a surprise to anyone in the least interested in the prospects of the UK property market to see that of the top five cities to invest in property outside London, Manchester sits snugly amongst the leaders. The city which last year boasted the third highest number of foreign visitors in the UK does, after all, make a huge claim as the new home of the BBC as well as fostering a flourishing media community. But more on that later. Also up there in the palm of prosperity sit Glasgow, Liverpool Birmingham and Bristol. The city claims are based on insurance company Hometrack’s latest house price survey published last month, which showed the increase in house prices today compared to 2007, just prior to the credit crunch. We’ve also done our own analysis by looking the likelihood of future house sales thanks to redevelopment and a move northwards by investors out of London. The latter is mainly a response to the three per cent tax on second homes and higher London house prices in general. The UK is by far one of the most attractive investment destinations the world over. The UK offers strong security for investors in terms of the Robust principles in which the Rule of Law was built. Investors also benefit from owning a property within one of the leading economies of the world. Come and invest in the UK property market, you are sure for a very profitable ride so long as you pick the right asset. Scotland’s second largest city after Edinburgh, this much more affordable neighbour is home to Scotland’s media industry, based in the Digital Media Quarter at Pacific Quay. Glasgow also boasts a number of huge blue chip companies such as Morgan Stanley, esure, JP Morgan, Aon and Paribas – to the extent one in 13 employees in the city work in financial services. The average house price here is £155,221, with a typical one bedroom flat in the city centre renting for £602.17 per month. The former home of the Beatles has benefitted from £5 million in regeneration funding over the past few years with a further £7million of development planned for the next 10 years. Economists reckon 95,000 new jobs will be created in Liverpool over the next four years. The city is also home to more fast-growing firms than anywhere else in the UK, according to a survey published earlier this year by the Enterprise Research Centre. The average house here costs £103,598 while a one bedroom in the city centre rents for around £548.19 per month. 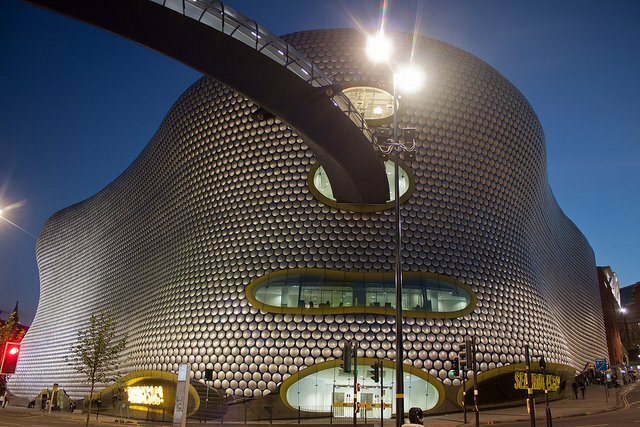 With the promise of journey times into London in under an hour on HR2, Birmingham is set to spend more than £1bn over the next three decades creating 36,000 jobs and 4,000 new homes. Biggest employers in the region include National Express, Sainsbury’s and Lloyds Banking Group while the Science Park at Aston is home to 86 technology companies. The city is by far one of the best cities to invest in property and even boasts also four Michelin-starred restaurants. The average house price here is £144,943 while one bedroom flats in the city centre let for around £701.32. One of the major regeneration projects in the area was the Bristol Temple Quarter Enterprise Zone which has created more than 1000 jobs to date but aims for a further 16,000 over the next 25 years. Once HR2 arrives (planned for 2018) journey times into the capital will reduce to just 80 minutes. Bristol, together with Bath, was named by a government-backed report as the UK’s most important centre for ‘the fast-growing digital industry’ outside of London. The average house price here is £263,294 with a typical one bedroom flat in the city centre renting for £825.50 per month. The city’s NOMA project aims to create a whole new neighbourhood at a cost of £800 million over the next couple of years. The main artery of the area, One Angel Square, is the HQ of the Co-op group and cost £105 million to create three years ago. Spinningfields Business Centre was a £1.5 billion which is almost complete. The huge park is home to major companies such as Regus, Barclays, Deloitte, HSBC Bank and the Royal Bank of Scotland. House prices in Manchester average £142,508 with a typical one bedroom city flat going for £693.65 per month. It makes sense to look northwards now that property in London no longer creates the high yields many investors enjoyed up until a couple of years ago (in fact, house prices in Bristol have been rising higher than those in the capital over the last six months, according to Hometrack). On the surface it actually sounds too good to be true. How can it be that you can make that galley kitchen or small scullery of your brand new buy to let look bigger without having to knock down a non-load bearing wall and generally create an expensive upheaval? By ‘floating’ we mean a countertop without legs and which is attached to the wall. Backless stools and glass or perspex see-through light shades also make a room look larger. Why this works is because none of these items disrupt the line of sight, meaning that when walking in to the kitchen the eye can travel around freely taking in the whole room at once. Make sure the cupboards are a similar shade to the walls and the appliances – with just a touch of variation. It may look a bit dull but it actually gives the illusion of more space. And anyway, your tenants can add colour in the form of tea-towels, place mats etc. Meanwhile we’ve been brought up to believe that pale colours reflect light and make a room look bigger – which is true – but dark colours (chocolate and charcoal) can also help by making the cupboards recede so that the walls look further back than they in fact are. Open shelving in place of closed cupboard doors can make a room appear larger – provided that is, the shelves aren’t filled with clutter (a row of recipe books or the odd vase or two works well). When the tenants see the kitchen the shelves shouldn’t have anything on them anyway. If you prefer a bit of patterned contrast in the kitchen then striped or geometric patterned walls are excellent for drawing the eye either horizontally or vertically, making the room seem longer or taller respectively. It also works with flooring ie lay square tiles diagonally rather than in straight lines (incidentally bigger tiles tend to open a room out, making it seem larger and in which case, mosaic tiles are definitely out. Stainless steel belongs in a kitchen – which is great for small ones since it happens to be reflective and helps make the kitchen appear larger (so great for sink units and appliances). Glass tiles and glossy countertops or cabinets play a similar visual trick. Coloured glass splash backs, for instance, will keep the eye from focusing on any dark and cramped corners. If you don’t want to understandably fork out for a glass pendant light then how about having spotlights installed in the ceiling instead then popping along to a certain Swedish retailer or similar for some under-cabinet lighting? Subtle lighting always makes a kitchen look better than a stark overhead light. Tall, slim panel radiators – rather than the old-fashioned chunky horizontal kind – will obviously take up less space from the centre of the room but, at the same time, they’ll also make the room appear much taller. Or, paint them the same colour as the wall so that they simply blend in and avoid any visual disruption. A cooker hood – that is. Not only will a large vent hood take the eye upwards (so make the room appear taller), but it will also provide a nice contrast between cabinets. A stainless steel version will also prove reflective, adding to the feeling of space. Alternatively, you can avoid all of the hassles that come with developing a property and invest in our two year UK property investment bond that pays out every 6 months. We have always found that with property renovations, it is not always about going out and buying a new kitchen, spending thousands of pounds in the process. Some simple changes can add value and remember, the person buying a property will often be making an emotional design based on aesthetics. If you’ve been toying with the idea of investing in a House of Multiple Occupation (HMO) for a while now then it’s time to get moving before the stampede begins. What stampede we hear you ask? Well, there may not be dust clouds gathering on the horizon quite yet but you can be sure they’ll start to appear within the coming months – if not by the end of the year. Why’s that? The fact is HMO’s have always had the potential to bring in higher cash yields that their standard buy to let equivalents. At the same time many property investors have been put off by the extra work that’s involved in letting a property to five or more tenants. Then there are all those rather high hoops to jump through when it comes to local authority approval. However, thanks to the Prudential Regulation Authority (PRA) paper on underwriting standards for the buy to let market, the prospect of high HMO yields are about to become an awful lot more attractive to both landlords and lenders. The reason for this is the fact that lenders will be looking for higher rental figures in order to improve the loan to value ratio in their eyes. Having said that, there will still be the five year plus fixed rate deals around as well as decent remortgaging options). Firstly, HMO finance is a bit of a specialised market. There are ten or less dedicated HMO mortgage providers currently in the market from Kent Reliance offering up to 85 per cent loan to value (LTV) to Shawbrook and BM Solutions at 75 per cent LTV There are also some high street lenders offering between 60 to 70 per cent LTV. The reason finance companies have traditionally been reluctant to lend for a multi-roomed property is the prospective difficulty in selling the property if it ends up being repossessed and going to auction. Another unique aspect to HMO lending is that companies rarely provide finance for this type of venture to a new landlord. They prefer to see that he or she has at least cut their teeth in the buy to let sector beforehand. As a landlord of a typical buy to let you are required to ensure the property is fire safe and passes the requisite gas and electricity tests. Being an HMO landlord though is a whole other ball game. Not only do you have to obtain a special HMO licence from your local authority in order to take in tenants in the first place, but you are also expected to carry out regular fire checks (either by yourself or by appointing a tenant to supervise it). The fire checks must then be logged in a book and kept on the premises for inspection. A fire extinguisher must be provided for every separate floor of the property and there must be a fire blanket in the kitchen. Legally a gas inspection should be carried out annually via a CORGIE approved installer. The electricity must be checked every five years but law, but it’s a good idea to carry this test out annually too. The latter results in an Electrical Installation Condition Report which should also be available for inspection by tenants and the local authority. PAT. A Portable Appliances Test (PAT) isn’t obligatory but it makes sense to carry one out every couple of years since it’s the landlord’s duty to ensure kettles, toasters, microwaves etc are all working and safe to use. You’ll know they’re safe to use if they have a CE mark (which is the Electrical Safety Council’s ‘checked’ logo). The Council recommends larger items such as washing machines and dishwashers are checked every four years. Failure to carry out any of the above mentioned statutory tests could result in a maximum £5000 fine and have your HMO license being revoked. So, they’re all worth remembering about – even the obligatory ones. These vary depending on the local authority but basically there should be one bathroom/WC for every four tenants. These and other communal areas should always be kept clean and tidy (so you’re really looking at hiring a cleaner). The pipes should be lagged and the water running clear. In terms of preventing rubbish build-up there should also be plenty of bins on the premises. Tenants should also be guaranteed privacy with a lock on their bedroom door as standard. You can find more information on HMOs and what’s required specific to your area on the local authority website covering the property’s location. More general information on HMO Health and Safety rules can be found on the government website. The repurpose of larger properties into one of multiple dwellings is an attractive proposition. At the higher end of the market, there is a good number of properties and not so much demand. HMO property investment are very popular at the moment and we see no reason not to go with this trend all the while there is a chronic shortage of affordable housing. We have recently produced a new guide for hotel room investments, giving you comprehensive details about investing in this attractive alternative property asset. Hotel room investment’s are one of the best decisions you can make. It offers you several advantages over other investment opportunities. They enable you to diversify your income with a high return on investment. The hotel market is gaining popularity, with great opportunities domestically and abroad. What sets this investment apart from others is the passive source of income it generates. You enjoy stress free management since your hotel unit is fully managed and serviced. You only collect your revenue at the agreed time. Many people tend to choose 2 and 3 star hotels when they are making this important investment. Although they produce significant returns, the problem occurs when there is an economic downtown. Since they are budget hotels, any economic setback affects their business and as a result, there are minimal returns due to reduced clientele. However, the luxury hotel market is rarely affected by economic downturns. This implies that its revenue remains stable throughout. As such, it is a more secure hotel investment compared to the budget 2 and 3 star hotels. When you invest in hotels, you are bound to realise huge returns. Additionally, there are minimal expenses. This is because most of the maintenance work is handled by an experienced team of professionals. This is much better, compared to the minimal returns obtained from residential properties that mainly yield returns of around 5%. Property owners also have to deal with difficult tenants, looking for tenants, paperwork and other issues. Strong growth in capital is another reason why you should consider hotel room investments. With a good location, your hotel investment will continue appreciating within a short period. This is not the case with the property market, as it tends to stagnate. With the changing needs of travellers and the right branding, investing in hotels is the way to go. Tax efficiency is a major benefit when it comes to investing in hotels. Since hotels are ranked in the same category as commercial properties, there are many tax-efficient opportunities available which means additional returns on your investment. Investing in the hotel sector is easy, when you consider that a hotel is naturally divided by rooms and therefore making it simple and easy to register the title at the land registry and at the same time it is simple in terms of working out which room generated revenue for each individual investor. If you have the opportunity to purchase a hotel room, get the right location and you can do tremendously well over the medium term. Investing in a hotel is easy and simple the moment you have identified the right investment. It is not like stocks, where there is nothing tangible; you are investing into already existing structures. This implies that your investment is based on tangible assets and is not paper based. Therefore, you have security and peace of mind. You do not require a huge capital outlay to invest in the current hotel market. A full hotel room investment can cost you as little as £15,000. You do not require loans or mortgages. Additionally, all the paperwork is processed and ready. You just make your investment and you are ready to start getting returns immediately. Once you have amassed enough profits, you can decide to opt out. There are several exit strategies available. You can opt for a buy-back that is usually guaranteed, as long as your investment is over a certain period of time. With this arrangement, you will sell the property at a profit, on top of the returns you will have made during the period that you owned it. This makes it a worthy investment. Having made the decision about investing in hotels, the challenging part is identifying the right hotel that will give a high return on investment. This requires a specific skill set. There is a wide range of hotels to choose from, all offering investment opportunities. You need to be careful in order to identify the right developer, the hotelier, and the location. These are all key attributes in determining your success with the hotel investment. However, you do not need to do this on your own. There are experts who are specialised in this field. They will use their market skills to help you select a secure hotel investment. They will also help you identify a hotel with the safest and strongest income all year round, for a long time. There are many reasons why you should invest in hotels. Once you identify the right hotel to invest in, you are guaranteed a stable and secure income all year round. It is a secure form of investment with high returns. Professionals will help you every step of the way from identifying the right hotel and all the legal paperwork. FJP Investment is a team of investment specialists sourcing a wide range of investment opportunities both in the UK and overseas, including hotel room investments. Britain’s universities are brimming with students from all over the world. Unlike students of yesteryears, students today are more likely to have cash to spare because their parents are usually of better wealth. Though we appreciate that this is not always the case, the rise in demand of students looking for accommodation that is close to their universities and is comfortable is on the rise. Since students have higher standards of living, they don’t mind paying higher rentals. The number of first degree students is at the highest point in the last decade, sitting at a fraction over 550,000 new students. While the university residence halls can accommodate about a third of these students, mostly first years, the rest need to find their own accommodation. That means that nearly 70% of students will be on the lookout for living spaces, which means the market is big enough for us to look at as a potential destination for our investment funds. 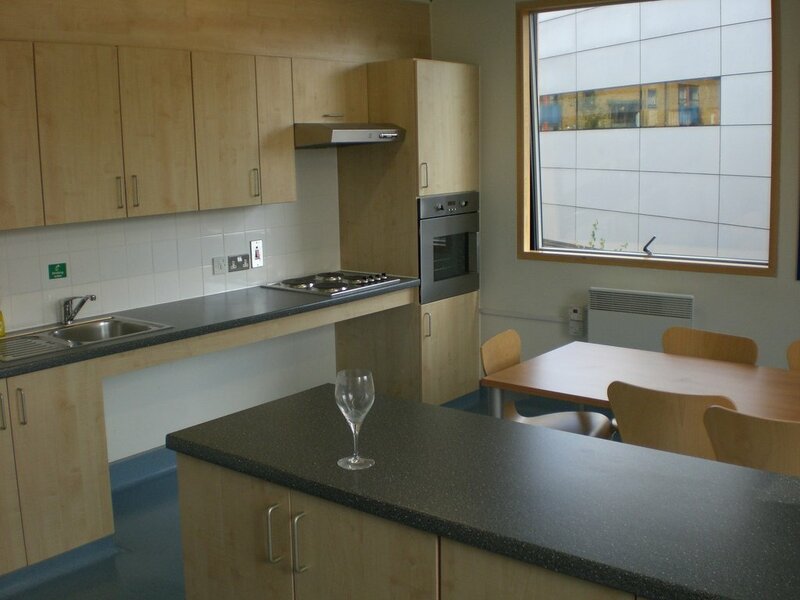 There is no shortage of students who wish to rent high quality accommodation. Top universities like Cambridge, Oxford and Edinburgh are naturally the most sought after universities. Therefore student buy to let investments in these areas give good returns, other university towns like Brighton and Birmingham are also good areas to invest in. As long as students are coming to these universities, there will be a demand for student accommodation. We are finding that luxury student housing is showing no signs of slowing down, so much so we are seeing Universities looking rather like property developers. If you wish to be a landlord in a student buy to let property, the obvious choice is to make a property investment in a University town. If the accommodation is furnished and has double bedrooms it is likely to be in demand year after year. Students no longer like to live in shabby accommodation but have clear cut demands, they prefer accommodation that has more than one bathroom if there are two bedrooms. For a comprehensive break-down on how to invest in student property, check out our ultimate guide to investing in student property. With a high demand for student property, there is a shortfall and so investing in property for the purpose of accommodating students means there is an opportunity to get good returns on your investment. Higher education is a worldwide demand and universities in the UK offer some of the best courses. Towns near universities are therefore milling with students so student housing demand is high. Student, buy to let investments in almost all of the UK’s university towns yield high rentals along with capital appreciation, with the net asset value of student property up to 7.2% for 2018 across the UK. The more renowned the university, the more likely it is to have a huge student population and therefore the student buy-to-let market has a good chance to give you good returns on investment. FJP Investment have always found the student property market to be a good starting point for when an investor in the property market. This area of the property market is supported by the fact that the UK is a top destination for students all over the world wanting to come and get a premium education. Overseas students demand luxury accommodation and that is the most buoyant student buy to let investment sector presently. These students prefer comfortable bedrooms and don’t like box room accommodation. Another important aspect to consider before investment is to select areas that students like to have local, for example property near libraries or near market towns. Choose the location and the type of housing carefully if you wish to have good returns on your investment. You really can’t go wrong because the more the university population the more the demand for student accommodation and the more the returns with rents increasing by almost 3% each year. The changing face of UK higher education has led to a drastic change in university culture, and this also had a huge impact on standard of housing for the students in United Kingdom. Nowadays, the admission criteria as well as the university tuition fees sit top of agenda for these business-minded, independent institutions, and the issues on student property investment has caught the attention of property investors like never before. With student accommodation search engines making life easier for the student looking for accommodation, it is no surprise that the market is well oiled and functioning smoothly. The main key here is the growing number of students, as this kind of turn only means potential investment, with the need for having quality accommodation only increasing at the same pace. For the universities that don’t have accommodation for their existing and future students, the demand for properties/housing is even greater, and this kind of trend has led to the popularity of student property investment. The experts in investment rental property are also keen to follow this kind of wave, with the popular university locations in UK such as Manchester and Liverpool providing firm platforms for the student rental investment properties. It should be reminded that there’s been a shift in the students’ culture in recent times, and the profitable, fast-moving universities are moving forward away from traditional “student digs”, and instead have a deep focus on having access to student property that will encourage effective development and learning during their university years. The (then) new student housing block looming over Tottenham Hale Station. As universities notice this need from students, the best way to ensure that the accommodation condition within the university city walls are of a high standard, is to have a strong tie with the private sector that can possibly invest effort and time in providing the kind of accommodation that generates a better standard of living. For the investors, the environment for this type of property investment is made more attractive when then investigating the details, because knowing that in recent times the risks tends to be the chasing shadow in property investment; student property investment manages to overcome this kind of barrier. The traditional and rebellion views of the student house parties, as well as the widespread destruction are the typical parallels that are drawn. However, investors in student accommodation investments are generally finding that with the higher premiums paid by student come higher standards of behaviour. Student property investment has shaken the traditional and long-held views in this kind of investment environment, as the associated risks in this kind of investment are continuously reduced, the rate of returns are increasing, which is why these are the best platforms for high return property investments. Commercial Real Estate – Good or Bad? Real estate comes in all shapes and sizes from big and small to wide and tall. There is no such thing as a one size fits all when it comes to sourcing real estate deals. For example, you could own the shop in Times Square rented to Apple or the corner store rented to Jack and his wife. The key outcome you should be looking for when making your investment is how much does it cost to purchase versus future growth versus rental incomes. Investors tend to want high rental returns but with a focus on stability. So in answering the question “is commercial real estate a good investment?” we here at FJP Investment would agree that it is. We tend to find less defaults when it comes to tenants in commercial than you would in residential and while economies are retracting we are seeing the commercial sector hold its own. In general, we have always found the commercial property sector to be favoured by our investors when looking for asset classes to make an investment. We love looking for a deal, seeing commercial real estate as a real good investment if done right. A lot of this comes down to research and being able to find the right commercial property at the right price. We recently wrote about the pros and cons of commercial real estate and we concluded that such investment was worthy of spending serious time analysing deals in order to better manage your money yourself rather than play the markets. The number one reason for making an investment in the commercial sector rather than residential is earning potential remains consistently higher. Commercial often achieves anywhere between 6% and 12% meanwhile residential varies between 1% and 4%. When investors say 10% is too good to be true, it is often because they have never looked or considered the commercial sector to know the it is indeed the norm. Another important factor to consider especially with the retail sector, they are often incentivised to maintain their retail presence… e.g keep paying you rent! I think another key selling point for going into the commercial sector rather than residential is that you are generally dealing with professionals. Businesses dealing with you are often easier than inexperience residential tenants with very few real world obligations. The business has evolved a lot over the last few years, we have kept our promise of only offering the very best deals that we have been able to get our hands on. We always focus on the customer and go out and get the product that our customers are in the market for. More often than not friends can bring valuable experience to the table but often we find too little experience is often an inexperienced source of advice. Our products are constantly updating, new ideas are launching and we welcome you to come along for the ride. Interested in learning about the investment opportunities from FJP Investment? How to invest in commercial real estate? https://www.fjpinvestment.co.uk/wp-content/uploads/2015/11/Investing-in-Commercial-Real-Estate-for-Beginners.jpg 650 900 fjpinvestment fjpinvestment2016-03-11 08:36:252018-07-11 15:46:44Is Commercial Real Estate a Good Investment? A global powerhouse that attracts over 50 million tourists every year to the “big apple” that is often described as the cultural and financial capital of the world. The Chrysler building is considered by many historians and architects to be one of New York’s finest. Other options include Empire State Building. In New York, you’ll find many of the best department stores in the world, including Bloomingdale’s and Macy’s NYC, and countless Fifth Avenue boutique shops. New York is one of, if not THE, greatest food cities in the world. Not only can you get just about any kind of food in New York even at almost any hour of the day. The most famous green space in New York is of course Central Park. Others include Hudson River Park and Brooklyn Bridge Park. If in New York, be sure to get some rest time at one of the parks. The best art exhibitions and art galleries can be found in NYC. Be sure to check out the world famous Broadway Shows. Jazz, Classic, Rock… you name it New York does it in abundance. New York is the place to be for fresh live music. Holding real estate in your portfolio in New York is deemed a prized asset of the global investor buying up prime real estate around the world. There is no doubt that New York’s importance as a leading city in terms of being first in business is set to remain. New York is an amazing location and is at the top of the list when it comes to Real Estate investors wanting to park their capital in a top city, where they know the yields are high and their asset will increase in value over a reasonable period of time. New York is the trophy asset – Real Estate investors want to say “I own in New York”. From high yielding student accommodation investments to residential buy-to-let developments, FJP Investment has a wide selection of opportunities in city centres in the United Kingdom. This new infographic has been compiled to help explain why investors should consider making city property investments. Investing in a city is always a good idea. Ultimately, when buying property for investment purposes, you are going to want to find a human whom is going to want to pay you rent in exchange for living in your property. By virtue of investing in a city, you place your property in front of a higher number of people vs buying in a town or village. Of course, city prices are at a premium, but if you get this right, you’ll be on to a winner. Our global property market is worth some £500 Billion with London listed as one of the top destinations for investments. Global real estate accounts for a substantial percentage of investment transactions as a whole and shows no sign of slowing down. Naturally investing in real estate is focussed on big cities. Capitals like London, Paris and New York are top of the list when it comes to attracting the attention of today’s modern “Global Investor”. We see investors attracted to the big cities despite rising prices often seen as prohibitive. To understand future pricing we must analyse historic trends. Year 2000: London’s average property price in the year 2000 was just £153,454 fast forward to 2015 and the picture is very different. Year 2015: Currently the average property price set in London will be priced at £620,003 Many Londoners are finding themselves priced out. Year 2020: The price paid for the average property in London could reach £1 Million by year 2020 if costs keep increasing at the same rate currently. Supply of new properties coming to the market is still struggling to match pent up levels of demand. With more jobs available and fewer people out of work it is true that there are more people able to buy property. With more home buyers competing with the buy-to-let investors we find there are fewer properties available for home buyers. UK House Prices are expected to rise by 25% in the next five years. Alive with eclectic music, fine art, and stunning architecture, London is a place not only city-lovers dream of, but also where investors can find a bit of sanctuary amidst a bustling metropolis. London property investors are fortunate to be leading the country when it comes to making the biggest investment returns. London is the place to be. London property is amongst the finest real estate in the world and it is attracting foreign investment like you would not believe. From all corners of the globe, FJP Investment is working with investors to secure their slice of the UK’s leading property market; London. Think that London is just for tourists? Think again. London has become the capital of the world for shopping. People come from all over the world to shop. There are over 50 Michelin-Starred restaurants in London. The city is home to some of the world’s most elite chefs at the forefront of cutting-edge cuisine. There are over many gardens and parks to explore in London. Spending an afternoon in Hyde Park is the ideal escape for Londoners on a Sunday in preparation for the new week. London is home to the finest art galleries. Tate Modern has more than 70,000 pieces of art on display at any given moment. This city is in love with music, as well as festivals and concerts of all kinds. If you’re lucky, catch a show at the O2 Arena. Average house price now sits at £485,000 which is 14 times the average salary. London is ranked high as one of the best cities in the world to buy property. London Property prices increased by 17.5% in 2014 with 2015 likely to show similar results. London property prices are already sky-high and with the average rent now sitting at £1,500 the capital is more than double the national average at £738. With big rental fees come big property prices! If you are able to stake your claim on a property in London then you will be excited to know that your London property investment is considered one of the finest real estate assets going. Infographic: Why Invest In UK Property? For a very long time now the UK has been the attractor of investors all around the world interested in buying into the relative safety of the UK property sector. There are pros and cons for making the investment and the infographic below takes a look at some of those arguments for and against. For the medium to long term investor it is evident that making a UK Property investment with a company such as FJP Investment whom specialise in sourcing UK based property investments for a global audience of investors. Having full control of your property investment is useful, unlike other asset types you find yourself having control over all of the returns from the rental income to the asset sale. The UK Property market is super competitive with the top property markets of the World. Of late, investors have been buying up prime sites thanks to the great rates of exchange. We highly recommend investing in the UK property market and we feel that the UK has a lot to offer an investor from a fiscal and strategic point of view. It goes without saying that the biggest benefit of all from owning a property that you have rented out is you will be provided with a direct income stream. Then factor in the emergency repairs, the cost of removing the old water boiler. The list is endless. More often than not when property investing goes wrong it can often be down to bad financial planning. Such as not having savings for the rainy days… if you find yourself in the position of having NO tenant and four to six months of repairs to get the property ready to be placed back on the open market. Times like those can devastate the owners investment property ownership dreams.